In 2018 Eminem was on the buzz around the world for obvious reasons. 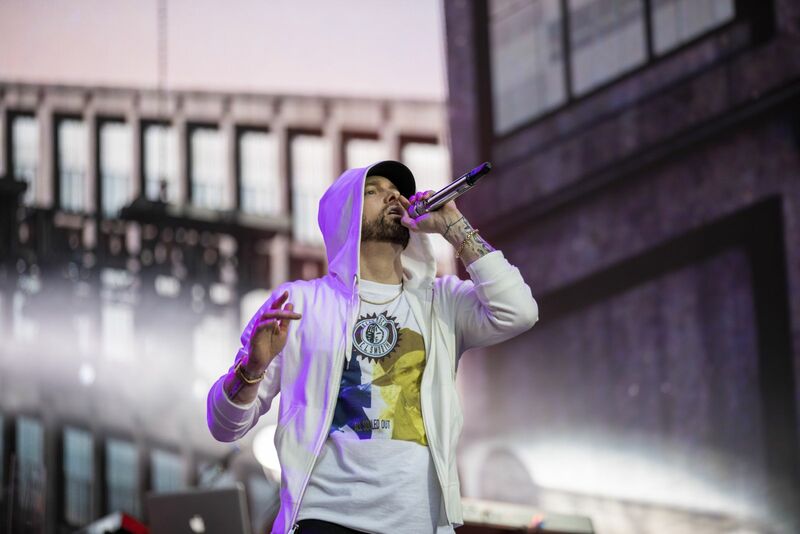 His surprising release of the tenth studio album “Kamikaze” August 31, scandals concerned with “homophobic” statements regarding Tyler the Creator on the track “Fall”, multiple stabs at critics and the media that was hating on “Revival”, attacks on mumble rap and, of course, the murderous response track “Killshot” to MGKs attempt at dissing the angry blond that obviously ended not so good for him. All this put Eminem on center stage again both at home, in the US, and abroad occupying the top of the charts. The debut of Kamikaze on first places in 103 countries around the world alone is a great example. Yesterday Eminem was nominated for the BRIT Awards 2019 in the International Male Solo Artist category. The broadcast of the BRIT Awards 2019 awards ceremony will take place February 20 and will be broadcasted on British STV and ITV channels. — BRIT Awards (@BRITs) 12 января 2019 г.